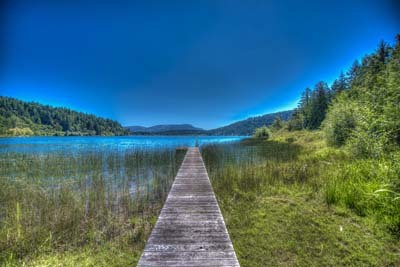 Contact Li Read at Sea to Sky Premier Properties (Salt Spring), on beautiful Salt Spring Island! Consistent mls award winner (Silver, Gold, President's Award, Medallion Club award). As a full service/full time real estate agent, on Salt Spring Island, and also selling on the adjacent Southern Gulf Islands (Galiano, Mayne, Pender, Saturna, & water access only options, in between (Wise, Parker, Secret, Gossip, DeCourcy, Phillimore Point), plus private islands, since 1989, I look forward to sharing my expertise and knowledge with my clients. I also represent unique properties on Vancouver Island (which I see as just the largest of these Gulf Islands!). Living & working on a Gulf Island is very different from a "city scape". Boats & floatplanes are also a part of one's work life, not just cars & highways (although the sea is just a highway, really). I now work under the Vancouver Real Estate Board, and had achieved MLS recognition for ten consecutive years of Gold Award accomplishment, while affiliated earlier through the Victoria Board (MLS President's Award for same). In the various companies I've worked for, since 1989, I have always been a 'top producer', achieving the highest award levels, while connecting several hundreds of sellers and buyers Diamond Club awards, Chairman's Club awards, Lifetime Achievement Award). . Most recently, I've achieved the Vancouver Board's Medallion Club sales award (top 10% in sales, in that Board). Sales awards (at company levels, MLS/Board levels, & internationally -- references upon request) are an indicator, from one's peers in the industry, of excellence in customer service. By the way, "Li" rhymes with "see". Thanks! 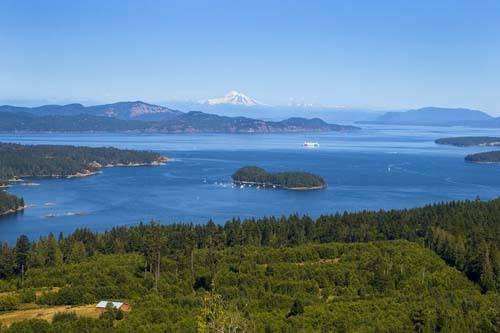 Salt Spring Island and the Southern Gulf Islands are "governed" by the B.C. Provincial Government,under the Islands Trust. 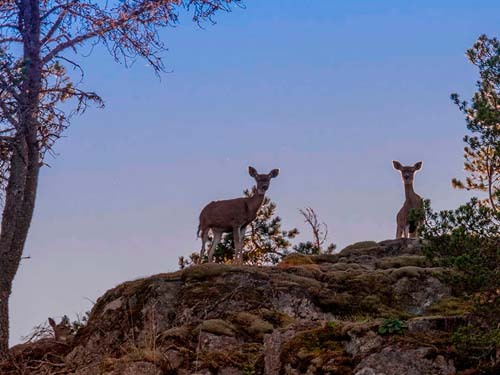 The Trust came into being in 1974, with a "preserve & protect" mandate, to keep the Islands as these pristine and park-like enviroments, for the benefit of all B.C. residents. Two trustees per Island (not representative of population, then) are elected every four years, in the B.C. civic elections, to manage the Trust bylaws/official community plan, on each Island. These strong zoning/density bylaws control (& effectively "cap") growth. Limited supply, and a strong buyer demand, usually result in higher prices, regardless of market trend in play at any given time. There will always be a low inventory of properties for sale, then, on any Gulf Island, due to this Islands Trust mandate and resulting cap on growth. 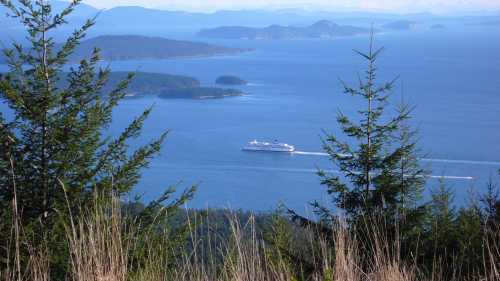 There is no industry on the Gulf Islands, unless you consider tourism as an industry. 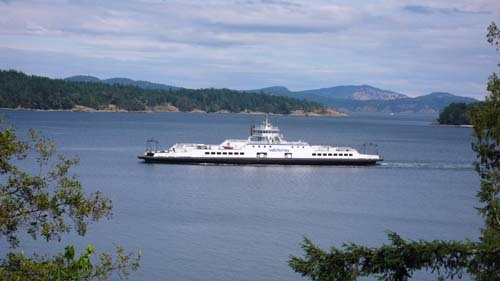 Salt Spring Island is the largest and best serviced of the Southern Gulf Islands (Gabriola, Thetis, Galiano, Salt Spring, Pender, Mayne, & Saturna Islands are the ferry accessed options, in the Southern Gulf Islands grouping), with a year round lifestyle, and with all the amenities required in the 21st Century. 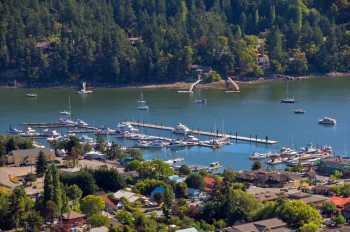 One doesn't "have to" leave Salt Spring Island for anything, but it's easy to go to Vancouver or to Victoria or to mid-Vancouver Island locations, on day trips. 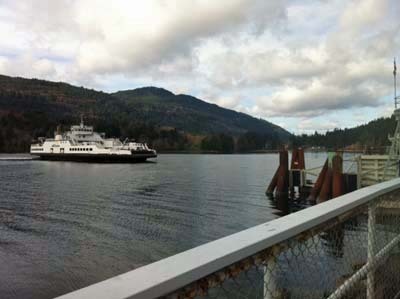 There are three separate ferries that service the Island, plus three regularly scheduled (year round) floatplane services, so it's very simple to do daytrips to major centres, and to return easily to the Island's charm. 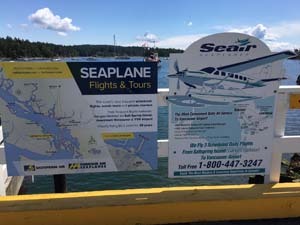 In the "season", there's also a floatplane service from Seattle to Salt Spring Island. Low supply coupled with high demand, though, often result in price escalation. The internet erased geography, and so the buyer profile for this area is mainly from out of province now, and often from out of country. Although the Islands Trust wasn't set up to create an expensive "enclave" area, it has had this result. As soon as one "caps" growth, for whatever reason (in this case, for environmental protection reasons), and the buyer profile is a global one (post-internet), which means more buyers than inventory, regardless of real estate market trends at any given time, one has a more expensive buy-in locale. Sellers and realtors do not set a market; only buyers do that. The Islands Trust, however, is responsible for a "cap" on growth policy that guarantees an escalating price point, over time, in the Gulf Islands and the Salt Spring Island real estate marketplaces. My knowledge (of both inventory and trends), expertise, and strong negotiating skills will help you to have a pleasing experience, whether selling or buying. This is a magical Island, and I look forward to introducing it to you. Please ask for me, by name, when you visit Salt Spring Island. I have an office in "downtown Ganges", in a pleasing yellow character building, with a Harbour view. A quick call to my cell (250-537-7647) will allow us to connect. My office is located at: # 4 - 105 Rainbow Road, in Ganges Village, at the corner of Lower Ganges and Rainbow Roads, across from the Ganges Marina. Easy parking behind my office (off Rainbow). P.S. "Li" rhymes with "see"! "See Li for Successful Solutions" is my promise to my clients. 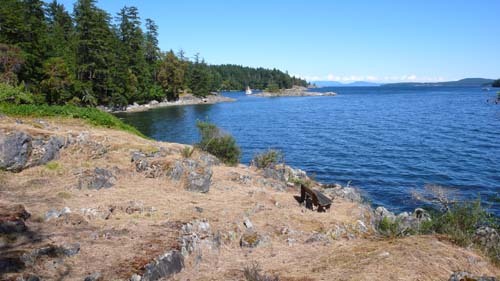 or Southern Gulf Islands property? Salt Spring Island & Southern Gulf Islands local expert! It's definitely different than selling in a city enviroment. Island -- it's all by choice! Island, plus, with a limited inventory "ever"
never very large, and so the "solds"
Time lags are a part of all sales, too. then so do other coastal communities. to selling a particular property on it. 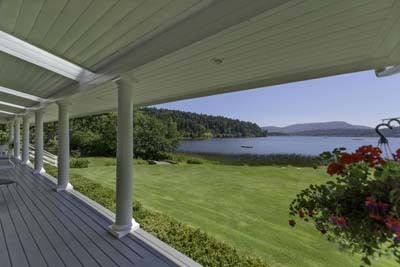 It can take, then, between one and four years to sell any property on a Gulf Island, including on Salt Spring Island (the largest & best serviced of the Southern Gulf Islands), and the main reason for this is because the buyer isn't "local", and the decision to purchase is a "choice", both in the "where" and in the "when". This time lag feature makes a "days on market" tag on an mls listing irrelevant. estate supplements (one comes out 5 times a year,. to help buyers know "what's what"). the Southern Gulf Islands, unless encouraged to do so. in your area, you probably did! went onto my original website! as the buyer isn't local. else in the world! More time lags! I wouldn't live anywhere else, though! 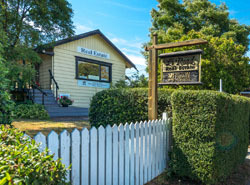 If you drop into Salt Spring, please ask for me by name -- I'm the Managing Broker, of Sea to Sky Premier Properties (Salt Spring), and I have an office in "downtown" Ganges Village (at the corner of the main road (Lower Ganges Road) & Rainbow Road. There's parking behind, off Rainbow Road..
My office (# 4 - 105 Rainbow Road) faces onto the main street, is across from the Ganges Marina, and enjoys a Harbour view. A quick call to my cell (250-537-7647) will connect us, too. I look forward to meeting you, and to offering my proven expertise and my superlative market knowledge (of both inventory & trends), and my strong negotiating skills, all for your benefit, during your search for your special Island gem. P.S. 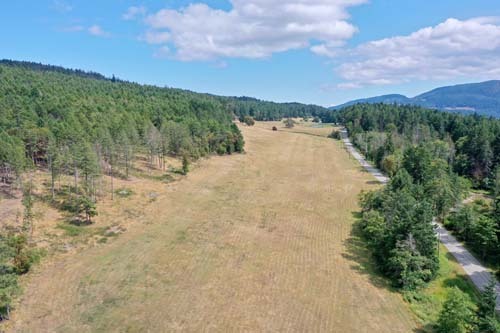 Here's one of those "differences": Selling real estate on Salt Spring Island & the Southern Gulf Islands is not like it would be in a city or a town marketplace. I was driving up a roughed in roadway, on a heavily forested acreage, recently, and there, at the side of the roughed in driveway, were two baby racoons. We looked around for mom, but nothing...we bundled them into my dog's car bed, wrapped in towels that I keep for wiping off a muddy dog on rainy days, so that we could deliver them to the Salt Spring Wildlife Rescue Centre. That was an interesting visit, too! Looking for a place to give a charitable donation? Think of the Wildlife Centre -- it's not open to the public, and they have a unique project there. Saving abandoned wildlife is one of them. (Yes, we did check with the Wildlife Centre before we brought the babies in. Sometimes the mother is just off foraging for food, but in the case of these racoons, they really were abandoned). It was an adventure! 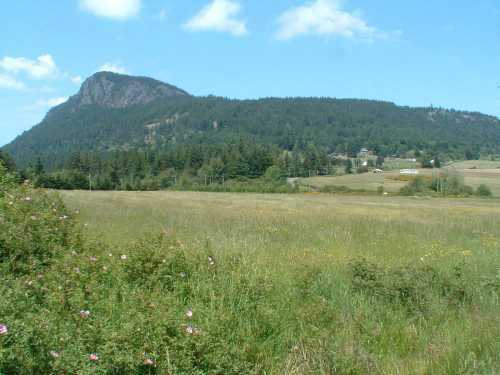 Salt Spring Island & Southern Gulf Islands information! Please see hand-written letter to me, under Skills section on this profile. I did not solicit the buyers input...they left this note at my office, before leaving the Island. I can supply other similar (and up-to-date) references to my service, upon request.